The EuroMBA features an active alumni association which aims to build, maintain and facilitate an international network of executive managers in Europe and all over the world. They work to build close relationships with business representatives (the alumni) for continuous improvement of the EuroMBA program and to provide continuous learning programs to enable alumni to further develop their professional abilities. Designed for working executives, the format and curriculum of the EuroMBA International Executive MBA is molded to the specific needs of today's professionals. Courses are delivered with a combination of theoretical and practical perspectives and are set up to promote flexibility in study, high-quality learning and engagement, innovation and strong international networking. Admission is granted on a rolling basis. Selected candidates must complete a formal telephone interview. Maastricht University School of Business and Economics (The Netherlands). The Euro* MBA is fully accredited by the AACBS, EQUIS and AMBA. This 4 day workshop brings participants up to speed, with its focus on writing and presentation skills, intercultural communication as well as introducing them to EuroMBA' s online learning environment: IBM Connections. EuroMBA's six residential weeks throughout Europe cover a wide spectrum of topics on international and current management issues. Company visits and leadership training provide students with practical skills and insights. The ten core online business modules ensure learners develop an in-depth view needed for general management positions and provide them with the chance to build a solid international network via the multicultural teamwork. Study wherever and whenever, with daily online support from EuroMBA's international staff. Fees do not include accommodation and travel costs for the residential weeks. 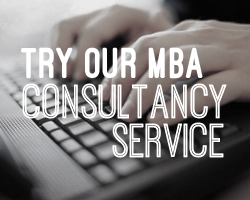 Fill out your details to find out more about EuroMBA - International Executive MBA.